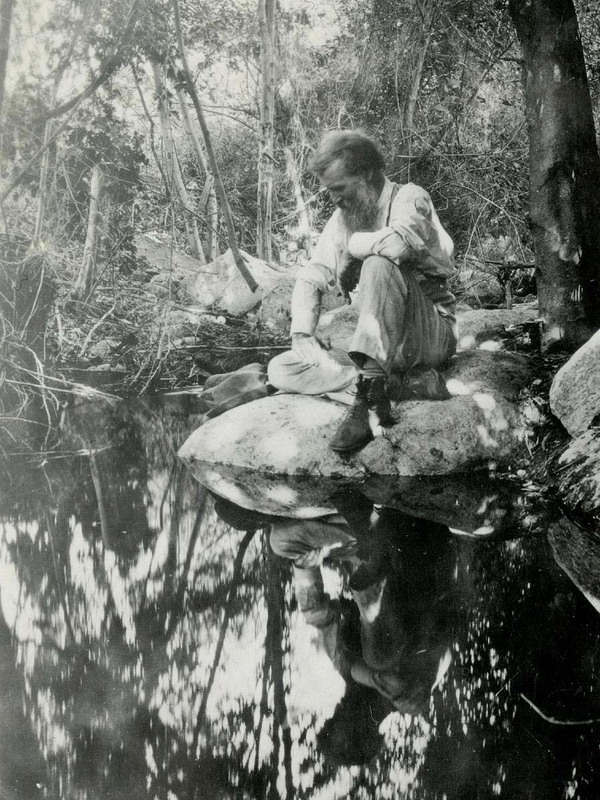 As the first great nature writer of the American West, a passionate advocate for Yosemite Valley, and a founding theorist and promoter of national parks, John Muir remains a guiding spirit of American environmentalism. Though often viewed as a solitary prophet of the mountains, he depended throughout his life on family and friends for emotional and practical support. Shaped by childhood experiences of the rugged Scottish coast and of the harsher Wisconsin frontier to which his family moved in 1849, Muir was also influenced by his father’s evangelical moralism and the more liberal outlook of his mother and siblings. When, while studying science at the state university in Madison, he wrote his sister Sarah in 1863 of a newfound interest in botany, she enthusiastically sent him plant specimens for identification and reminded him of “that silent but mighty Power that makes everything spring to fresh life and vigor. The most insignificant of His works when closely examined show his wisdom.” During the next few years, Muir made such insights his own, writing to a friend: “The most microscopic portions of plants are beautiful in themselves, and these are beautiful combined into individuals & undoubtedly are all woven with equal care into one harmonious beautiful whole.” His religious and ecological orientation toward nature was born long before he set eyes on the grand vistas of the West. Driven to travel to wild places, Muir walked through the South in 1867 and made his way by ship to California, even as his intimacy with nature deepened through an expanding circle of personal and intellectual networks. Mentors in Madison had encouraged him to read works by naturalists Louis Agassiz, Alexander von Humboldt, and Henry David Thoreau, and helped him meet Ralph Waldo Emerson in Yosemite in 1871. He declined Emerson’s suggestion to move East, but began collecting specimens for the nation’s leading botanist, Agassiz’s Harvard colleague Asa Gray, who visited Yosemite in 1872. Gray publicized Muir’s plant findings, fostered his access to the larger scientific community, and stimulated his thinking about botanical geography. 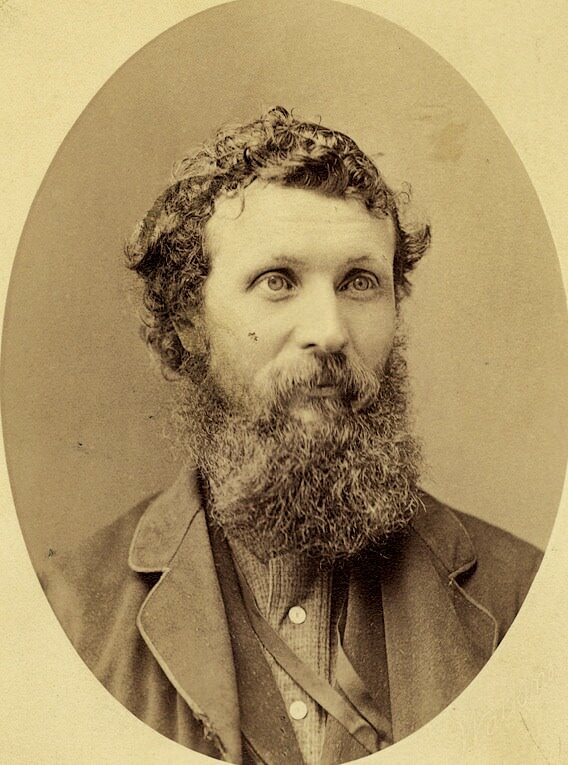 With such aid, Muir published important scientific studies of Sierra glaciers and botany, while his literary essays and travel writing attracted national attention in Harper’s, Scribner’s, and other journals. In 1880, he married Louie Strentzel, the daughter of a pioneering California horticulturalist, and spent much of the decade working the family fruit ranch in the Alhambra Valley. But he never stopped traveling nor forgot his literary goals. Louie encouraged him: “A ranch that needs and takes the sacrifice of a noble life or work ought to be flung away...The [books], dear John, must be written...there is nothing that has a right to be considered besides this except the welfare of our children.” She took over daily management of the ranch, helped in time by some of Muir’s siblings and their families. Heavens, what an honor for a tramp & how it surprises & excites me.…From the very beginning of my studies it was Harvard men who first hailed & cheered me—Emerson Agassiz Gray, & now Sargent Eliot & R.U. J. Century. Even in California the Harvard alumni were the first to honor me. Yet strange to say I would escape this formal honor if I could without hurting my friends & my influence for good. 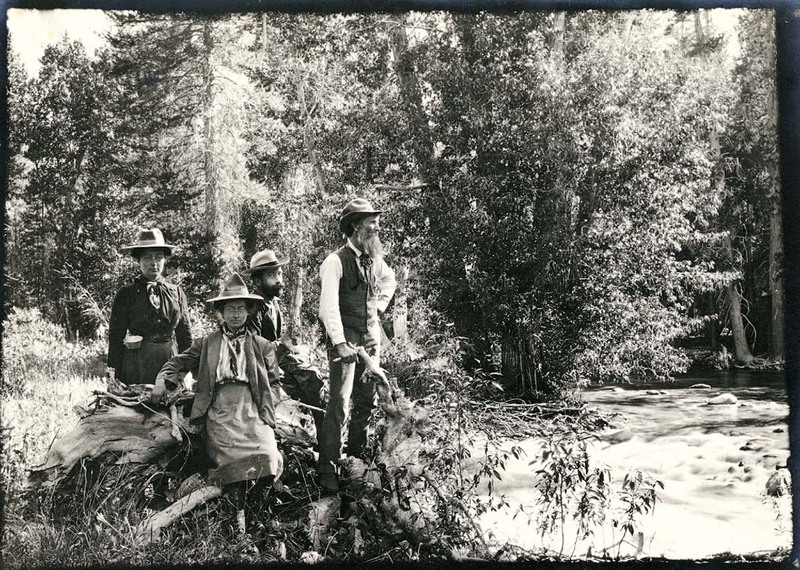 Muir’s capacities for friendship and loyalty served him well during his presidency of the Sierra Club (which he co-founded in 1892) and numerous struggles on behalf of wild places. During the long campaign to prevent San Francisco from flooding the Hetch Hetchy Valley to create a reservoir, Muir tirelessly encouraged Johnson to “Rejoice, be of good cheer, and fight to a triumphant finish.” When the effort ended in defeat, Muir consoled his friend in January 1914: “The long drawn out battle work for Nature’s gardens has not been thrown away. The conscience of the whole country has been aroused from sleep; and from outrageous evil compensating good in some form must surely come.” Such a legacy of friendship, commitment, and hope is an enduring part of Muir’s bequest to the present. Steven Pavlos Holmes, M.T.S. ’87, Ph.D. ’96, is the author of The Young John Muir: An Environmental Biography and editor of the literary anthology Facing the Change: Personal Encounters with Global Warming.